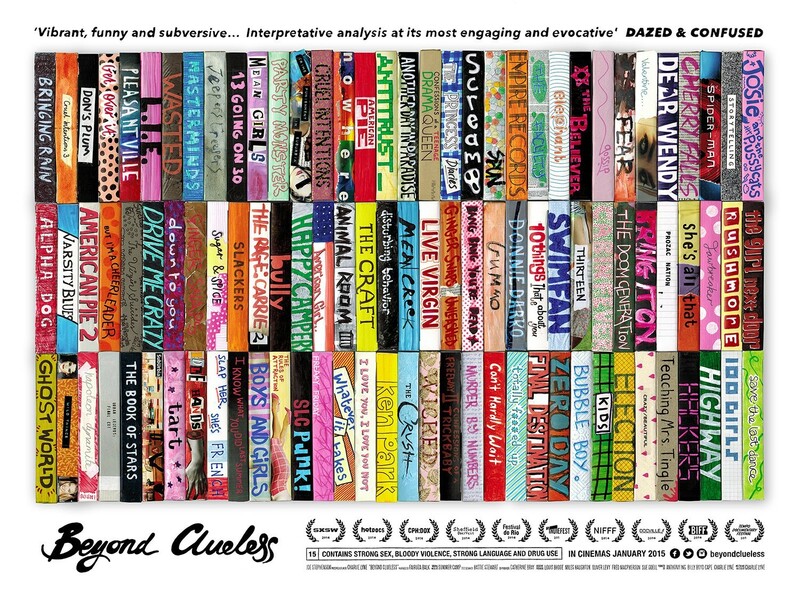 I was recently contacted by Catherine Bray, producer of an independently funded film called Beyond Clueless which is having four screenings and one director Q&A in Cardiff at Chapter, asking if we’d promote it on the blog. Obviously we can’t promote everything on this blog, or I’d be doing literally nothing but blog posts about mobile phone shops and hotel deals and you’d all want to punch me in the face. However … having worked on something similar for We Are Cardiff, I had sympathy for her mission to find low-cost ways to promote a film, so thought I’d put something up here about it. Also, teen movies are the BEST, aren’t they?? The greatest film ever made is, after all, Richard Linklater’s AMAZING 70s teen rite of passage movie, Dazed and Confused. If you want to argue it, we can take this outside. ANYWAY. So, back to Beyond Clueless: it’s a docu-essay about teen movies in the 1990s-2000s, it got a nod from Paul Bradshaw in the Guardian. Friday 30 / Saturday 31 Jan / Tuesday 3 / Wednesday 4 February, with a special Q&A with director Charlie Lyne on Tuesday 3 Feb.
NB: Wanna know what I’m on about above? Watch the We Are Cardiff film that was so stressful it caused me to flee the country. Literally. Not because of its harrowing content. It’s actually a very nice film. WATCH IT.